Bridge the gap between your guests and the bar when you give them elegant Pittsburgh Drink Tickets for your next event in the City of Bridges. 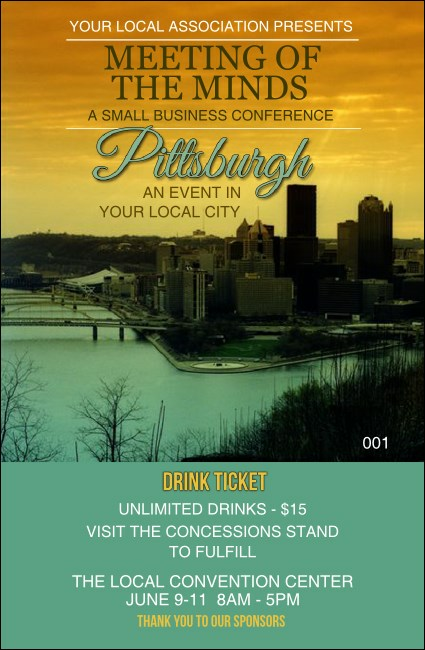 Each sensational ticket features a beautiful picture of downtown Pittsburgh at sunset and gives you room to customize up to thirteen lines of text with all your event details. Find the right ticket for Steel City at TicketPrinting.com.